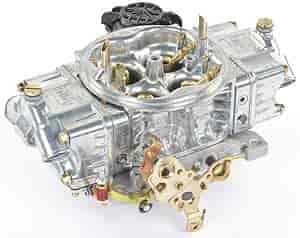 The Holley Street HP Series carburetors utilize the best features from Holley's race Bred 4150 HP carburetors. These carburetors are tamed for street and light competition use. They feature a contoured main body design from the 4150 HP carb and have a tumble polished shiny finish. The Holley Street HP Series Carburetors metering system includes a timed spark port for a vacuum advance distributor and is calibrated for a hot street/strip engine setup for outstanding throttle response and drivability. A street HP base plate is used so there are plenty of vacuum ports for power brakes, PCV and more. 0-82750 is rated 5.0 out of 5 by 1.